Hi, Got a burning smell from it so investigated. The belt is well worn and has been rubbing and one of the bearings in the Brush Bar was seized so I presumed that's the cause. However, the post motor filter and casing is full of black and has the same burning smell. Not sure if that's just normal carbon dust from the brushes and it smells from the burning belt or the motor is on it's way out. It's about 15 years old and the motor doesn't sound sick but do you think it's on it's way out? Don't want to put new filters in for it to ruin them when it dies shortly After. I would open it and check but the clips are knackered and it's been riveted shut. Don't want to drill the rivets out before I've got a replacement housing incase it won't go back together. Woman in a man's world. Re: DC04 motor burning out? 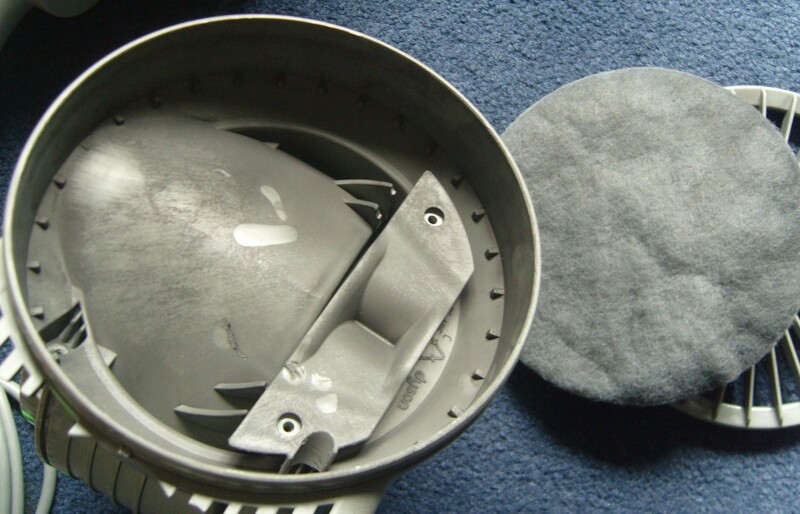 You are correct that the black dust is normal wear from the carbon brushes, However at that age it is likely the motor wont last, unless it has been replaced at some time in the past. Just wash the filters for now, make sure they are dry before you refit them. Would changing the brushes prolong the life or do the motors just wear out anyway? Don't think the motor has been replaced, the housing was just damaged in transit. Is the post motor filter washable then? Didn't think it was. Yes you could change the brushes. as long as you do it before they are worn down so much as to scratch the armature. The pad type of filter in your picture can be washed, you are never going to get it completely clean will be fine for a while, however, they are not expensive. The spongy pre motor filter at the top of the cyclone is best washed every month for best suction and longer motor life. I'll wait for the housing, crack it open and see what's what. What type of DC04 is it? It's grey and lime none clutch. These have different motors to the other DC04s therefore the motor housing and rubbers are different. 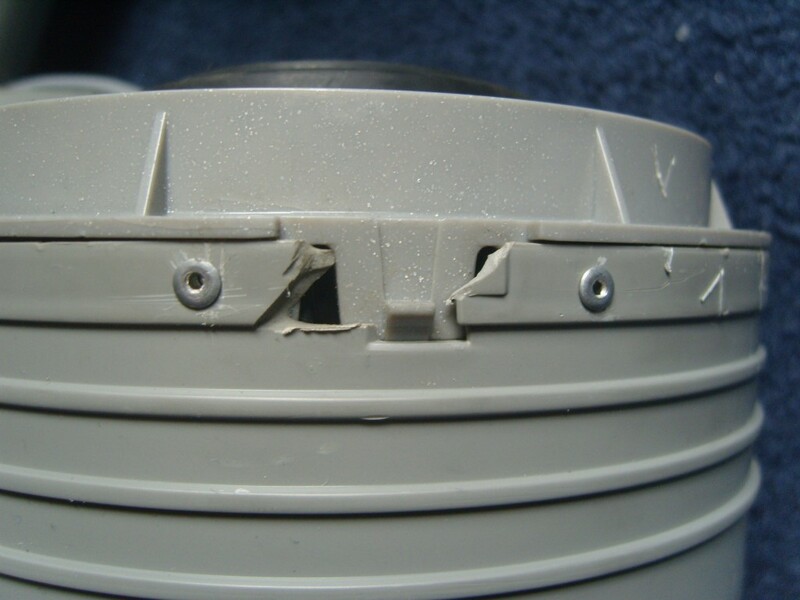 You can fit a YDK motor but will require the different bits to fit it, available here https://manchestervacs.co.uk/Dyson/DC04-spares.html/DC04-ametek-motor You would also need a new motor bucket as yours is broken. The post-motor filter is not washable. Motor brushes can be replaced, but it's rarely a long term fix, as the commutator will be equally worn. I'd switch it to a standard YDK type motor once you've gone to the effort of stripping it right down anyway. With the above kit you will have a DC04 effectively as good as new for under £30. Beg to differ but pre and post motor filters are washable on that DC04. I thought it had the same pad filter as the DC07? Which I've never been able to wash successfully. Put them in the washing machine, 30 degrees quick wash, you only need a tea spoon of powder for half a dozen of them. We have one new Genuine one.